Originally built in 1913 as The Grace M E. Church, this impressive stone structure located at 304 South Trenton Avenue in Tulsa has served as a creative chamber for some of the world’s biggest musical acts – artists like Bob Dylan, Eric Clapton, George Harrison, Dwight Twilley, JJ Cale, The GAP Band, Freddie King, Tom Petty, Phoebe Snow and Peter Tosh. "Cain's was for people, and the Church was for musicians. You had to know somebody to get in." In those days, passersby might spy George Harrison smoking a cigarette on the front steps or Tom Petty dining at The Ranch House across the street. Oldaker said the area around 3rd Street and Trenton attracted crazed groupies and musical geniuses alike, and recalled an instance when a recording session was interrupted by a crazy-looking guy carrying a guitar knocking at the front door. “He said, ‘I’m Jerry Williams, and I just rode here from Fort Worth. I’m not leaving until I see Leon,’” Oldaker said. The musicians allowed the fellow to enter, sit down at the piano, guitar in his lap, and sing and play both instruments. It soon became obvious that Jerry Williams was an exceptional musician and songwriter. “Somebody said, ‘You better call Leon,’” Oldaker said. Russell came, listened and brought Williams into the Shelter Records fold. Williams went on to write songs for such famous artists as Stevie Ray Vaughan, B.B. King, Bonnie Raitt, Delbert McClinton and Eric Clapton. In those days, passersby might spy George Harrison smoking a cigarette on the front steps or Tom Petty dining at The Ranch House across the street. 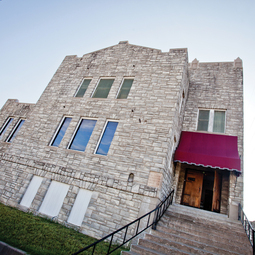 With its school gym-sized recording room, red and white Wurlitzer jukebox, control room with exposed brick walls and original church windows, the Church Studio is one of the most legendary buildings in Tulsa. It even features the original hitching post where church-goers could tie up their horse before venturing inside. Located in Tulsa’s Pearl District, the studio can be found situated along Leon Russell Road. During its years of ownership and use by Leon Russell and Studio Records, The Church Studio was also the epicenter of The Tulsa Sound -- bluesy music with whispery vocals, a rock and roll shuffle, and often adorned with honkytonk piano. In more recent times, The Church Studio became headquarters for the country-rock band The Tractors. 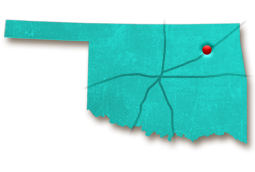 Oklahoma bands Hanson, the Chainsaw Kittens and Admiral Twin have also passed through its doors. In what year was the church that is now The Church Studio built?